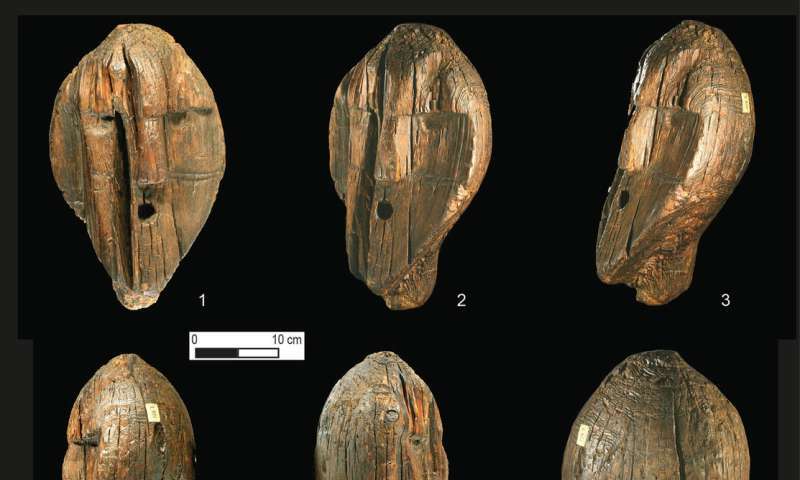 A team of researchers in Germany has found evidence suggesting that the famous wooden Shirgir Idol is actually 11,500 years old. The team has documented their efforts and findings in a paper published on the Cambridge University Press site Antiquity. The Shigir Idol was discovered in an ancient peat bog by miners in Russia back in 1890. Early analysis showed that it was made entirely of larch wood and was constructed from several chunks. It remained preserved for thousands of years because of antimicrobial properties found in the peat. 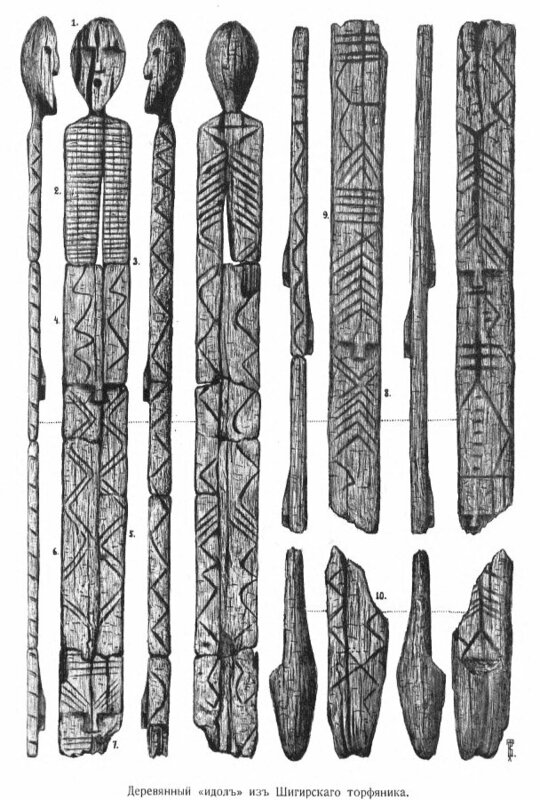 The idol was also covered extensively with markings, some of which depicted tiny human faces. To this day, no one knows what most of the markings depict. It was also noted that some of the original pieces of the idol had been lost—it is believed that it originally stood approximately five meters tall. In 1997, a team in Russia used radiocarbon dating to estimate the age of the icon and found it to be approximately 9,500 years old. 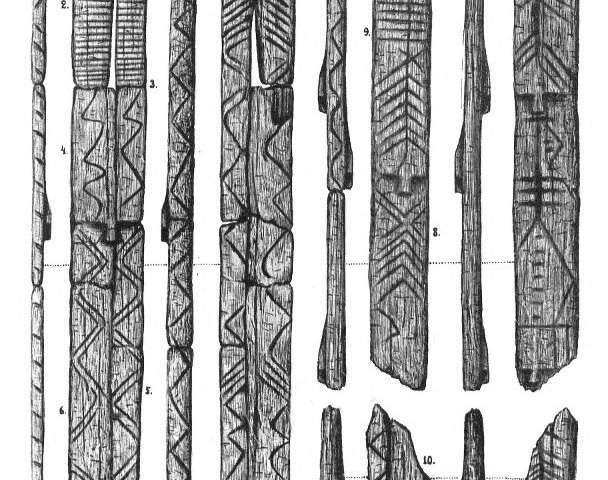 The carved wooden object uncovered from the Shigir peat bog in the Sverdlovsk region towards the end of the nineteenth century remains one of the oldest, known examples of monumental anthropomorphic sculpture from anywhere in the world. Recent application of new analytical techniques has led to the discovery of new imagery on its surface, and has pushed the date of the piece back to the earliest Holocene. 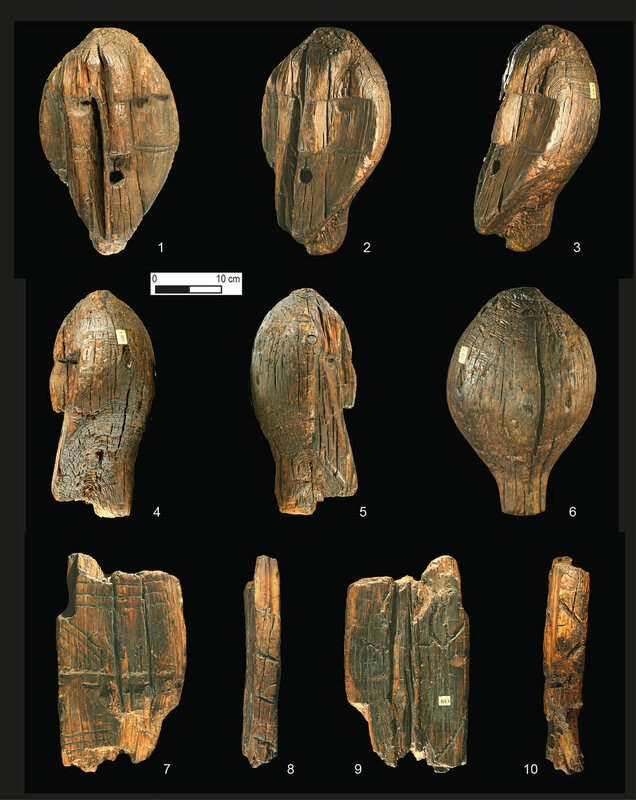 The results of these recent analyses are placed here in the context of local and extra-local traditions of comparable prehistoric art. This discussion highlights the unique nature of the find and its significance for appreciating the complex symbolic world of Early Holocene hunter-gatherers.